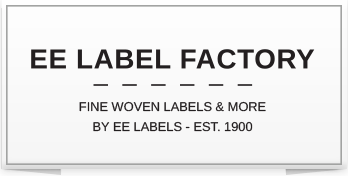 The eelabelfactory.nl online store has been set up with the greatest possible care, but it is possible that not all information on this website at any given time is up-to-date, correct, and/or complete. The content of this website is for informational purposes only, no rights can be derived from the information - including but not limited to rate information. An exception to this is formed by the general terms and conditions of Van Engelen & Evers bv, from which rights can be derived, if you have explicitly accepted them when placing one or more orders. All quotes and products provided by eelabelfactory.nl are subject to our terms and conditions. Van Engelen & Evers bv reserves th right to improve other otherwise change the information on this website at any time. eelabelfactory.nl accepts no liability whatsoever for any damages resulting from the use of this site or use of the information provided on this site, unless such damage is the result of intent or gross negligence on our part. Van Engelen & Evers bv cannot guarantee that the information on this website is suitable for the purpose for which you have consulted it. Van Engelen & Evers bv shall not be liable for any misuse by third parties of information protected by copyright.